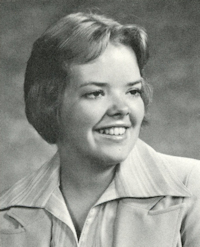 Obituary – Harms, Dana Jo (Goldsberry) « Perry High School Alumni Association, Inc.
﻿Band 74-77, Thespians 74-76, Vocal Music 75-76, All School Revue 74-75. Dana Jo Harms, 54, of Perry passed from this life on January 16, 2014 with her loving family by her side. Services have been entrusted to the care of Palmer Marler Funeral Home of Perry, and a service celebrating Dana’s life will be held at 2:00 pm on Monday, January 20 at the Church of Christ in Perry, OK.
Dana Jo Goldsberry was born on March 25, 1959 in Perry, OK to Dwaine Dale and Jewel Faye “Judy” (Ramsey) Goldsberry. She attended school in Perry where she graduated from Perry High School in 1977. Dana attended SW Oklahoma State University for two years before transferring to Oklahoma State University to be near the love of her life, her childhood friend, Joe Harms. Dana and Joe were soon married, and she began working at Ditch Witch. Dana worked for a few years at Mr. C’s before leaving to start her family. In 1982, Dana gave birth to her first daughter, Lacey Jo. Once Lacey was old enough, Dana returned to work and she spent several years in the mid 80’s managing the 2001 Video Store in Perry. In the late 80’s, Dana again became a stay at home mom, wife, and homemaker. She loved to say that “being a stay at home mom was $200,000 a year job that she did for free.” In 1992, Dana welcomed Alana Jewel to the family. Dana was a loving woman who was as stubborn as she was generous. 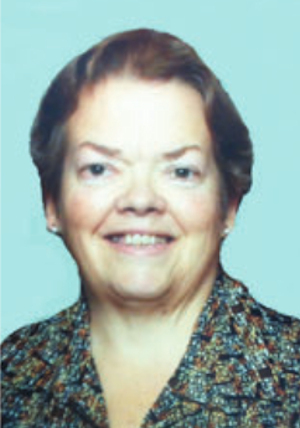 She enjoyed swimming, teaching swim lessons, fishing, and reading Janet Dailey romance novels. She loved to garden or do anything outside. The highlight of her year was attending the Great State Fair of Oklahoma with her family. Dana was selfless and never had a problem prioritizing time with her family above all else in her life. She was a proud and protective mom and grandma, and she was never happier than when she was with her family. Dana packed a lot of life into her 54 years, and her legacy of kindness and compassion will live on through the lives of her children and grandchildren. Dana was preceded in death by her mother Jewel Goldsberry and her cat “Tiger Cat” of 18+ years. She is survived by her best friend and husband Joe Harms, of the home. Her daughters: Lacey Navarro and husband Lucas, of Meno, OK and Alana Schweer and husband Dustin, of Perry, OK. Father: Dwaine Goldsberry, of Weatherford, OK. Two brothers: Eric Goldsberry and wife Susie, of Okeechobee, FL and Jeff Goldsberry and wife Deanna, of Perry, OK. Dana is also survived by the light of her life, her two granddaughters: Taylor Jo Navarro and Ava Savana Navarro, as well as many, many special cousins. In lieu of flowers the family has requested that donations be made in Dana’s honor to the Perry Public Schools Band or Music Program in care of Palmer Marler Funeral Home 213 Fir Street, Perry, OK 73077.